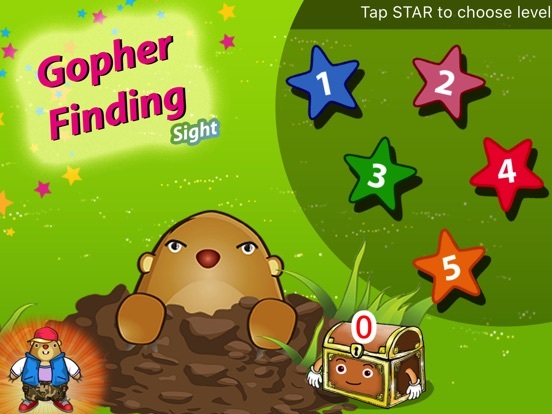 Gopher Finding is a great app for 5-8 years old children. 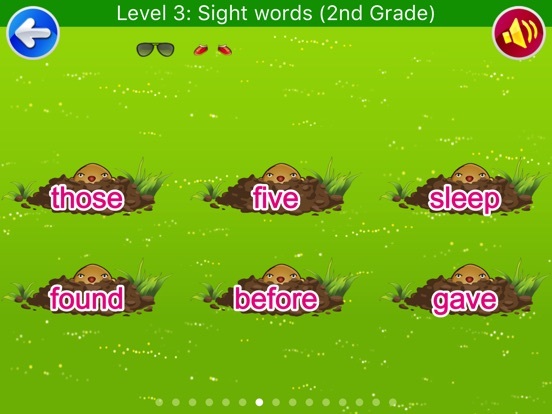 It is divided into 4 levels to help them practice sight words in their levels (from kindergarten thru 3rd grade) and have one more level for high frequency words. 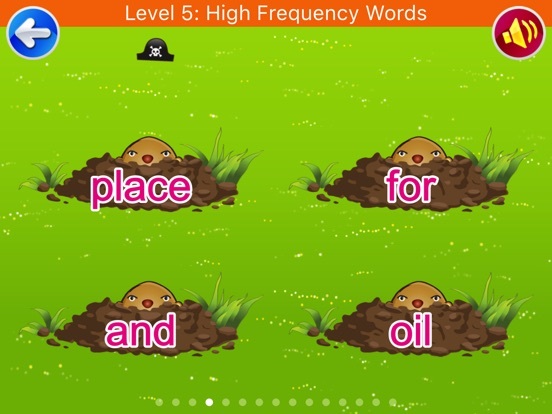 All of 217 sight words (from Dolch Sight Word List) and 126 high frequency words used in this app are important and useful for beginning readers. 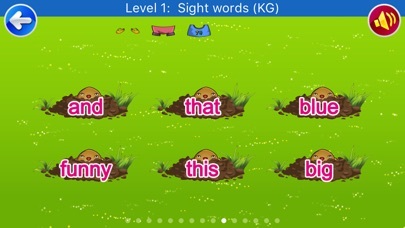 In this game, your child will help gopher to find sight words. 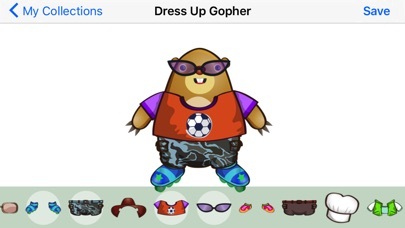 Every time they get 20% correct, they will get the reward (i.e., a shirt, hat, pants, sunglasses or shoes) to dress up the gopher. 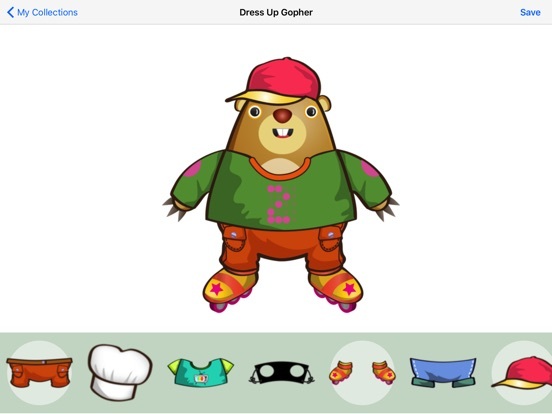 Moreover, they can collect all the different dress-up collections as they go. 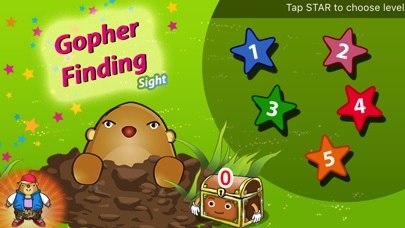 The rewards from each game will also collect in the reward chest and they can dress up the gopher as they want for their own collection. This really encourages them to learn things and have fun at the same time. 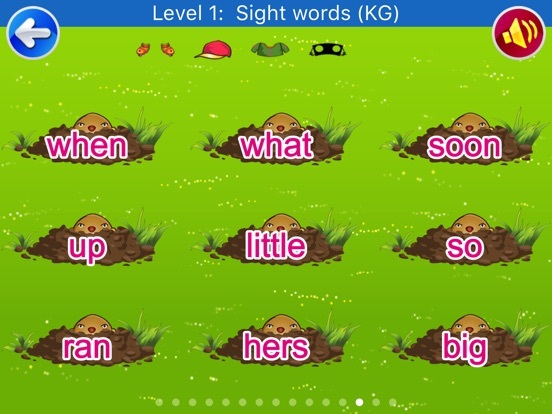 Gopher Finding also includes the progress report for parents and teachers to see how well their children can learn and recognize the words. 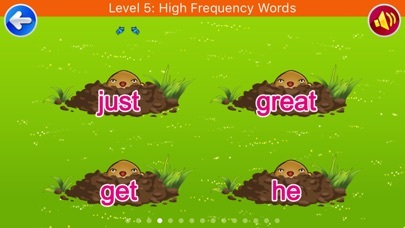 This game will help your child master identifying sight words and high frequency words for their early reading skills.